In a statement released June 12th, CEO of Tesla Motors, Elon Musk announced that in the spirit of the open source movement, all of Tesla's patents are now in the public domain. When I located the creative commons photo of the Tesla Patent Wall (shown next), I counted up 136 plaques. By early 2014, Tesla had amassed 203 patents. And patents aren't cheap. Patents are far more regulated and difficult to obtain than copyrights or trademarks. 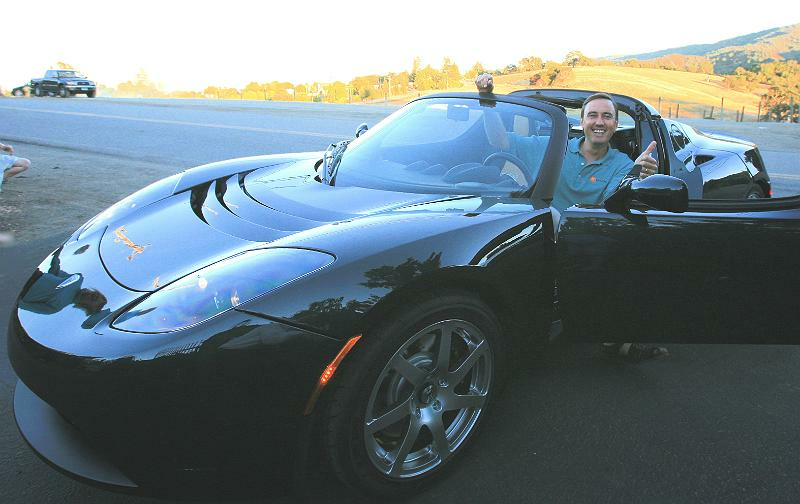 One might think Tesla has been making huge profits over the years to be in a position to so generously release their intellectual property; however, in a 2010 article by Kevin Hinton titled Moving Towards a Gas-Free Future, Tesla had never posted a profit. Tesla Motors was founded in 2003 and it wasn't until the first quarter of 2013 that the American independent automaker posted profits. It took a decade. In a May 9th 2014 Forbes article by Trefis Team titled Tesla Earnings Review: Profits Decline But Tesla Still On Track To Meet Full-Year Targets, Tesla Motor's revenues were $620.5 million, an increase from $615.2 million in the fourth quarter. 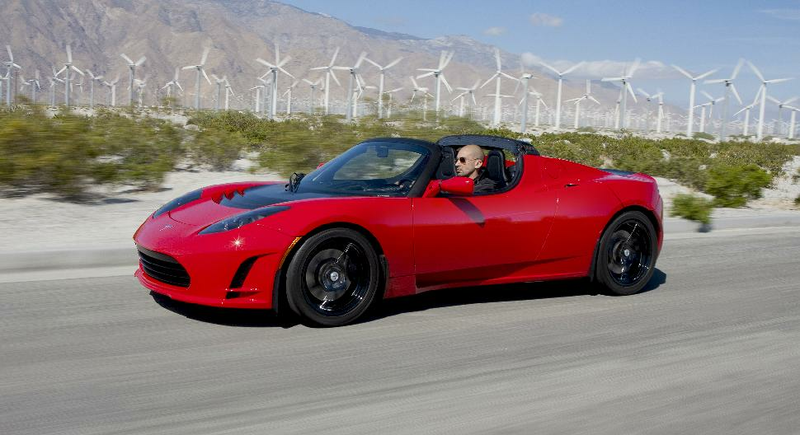 For now, Tesla is also on track to meet their target for 2014. This generous public declaration speaks to me about the realization that, as Elon Musk stated, "It is impossible for Tesla to build electric cars fast enough to address the carbon crisis." A carbon crisis that we need to address on a global scale as quickly (and in as many ways) as possible. In Tesla's press release, Elon Musk stated, "Tesla will not initiate patent lawsuits against anyone who, in good faith, wants to use our technology." And I found an interesting discussion on Slashdot. In it, bobbied asked, "What does the qualifier in good faith mean?" Bluefoxlucid responded, explaining (paraphrased): If you knowingly substituted some part or altered Tesla's original design or specifications which resulted in damaging Tesla's image, that would be considered acting in "bad faith." Evidence of ulterior motives and willful negligence constitute "bad faith" in a court of law. I can only guess at the amount of money Tesla has spent on patents. My father paid around $5,000 for his first US patent (about 20 years ago). Current estimates I found (depending on the type of patent range from $11,000 - $20,000). Conservatively, Tesla is offering up $2,233,000 worth of intellectual property. Wow, this is a landmark decision which is sure to gain customer loyalty that no other car manufacturer has ever been able to achieve. Now Robert Scoble on flickr / Licensed under Creative Commons Attribution 2.0 Genericfolks, I'm not into cars but these are gorgeous vehicles that you could potentially drive indoors. They are completely electric and have zero emissions. 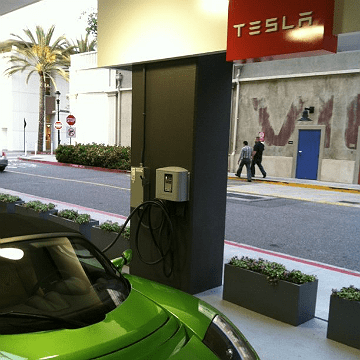 What's more, Tesla announced in 2013 incredible improvements to their charging stations. Tesla developed the most advanced charging technology in the world. 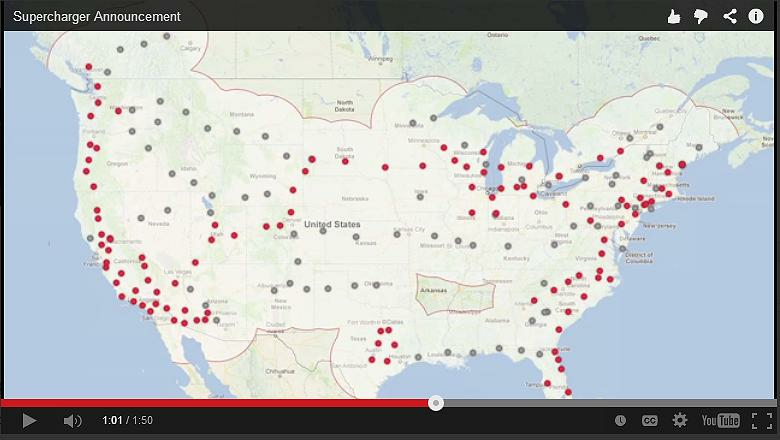 1) Tesla expanded their Supercharger network. They now cover 80% of the North American population. 2) They improved charging times considerably, cutting times in half. It now takes 20 - 22 minutes to charge your vehicle. 3) Charging is free, indefinitely. Up next is the 1:51 second announcement from Tesla regarding all of this. For locations across the US, I found that Supercharge.info provided a good map. In Canada, Sun Country Highway provides detailed information when you enter in your starting location and destination. I'll bet you want a closer look a this bad boy. 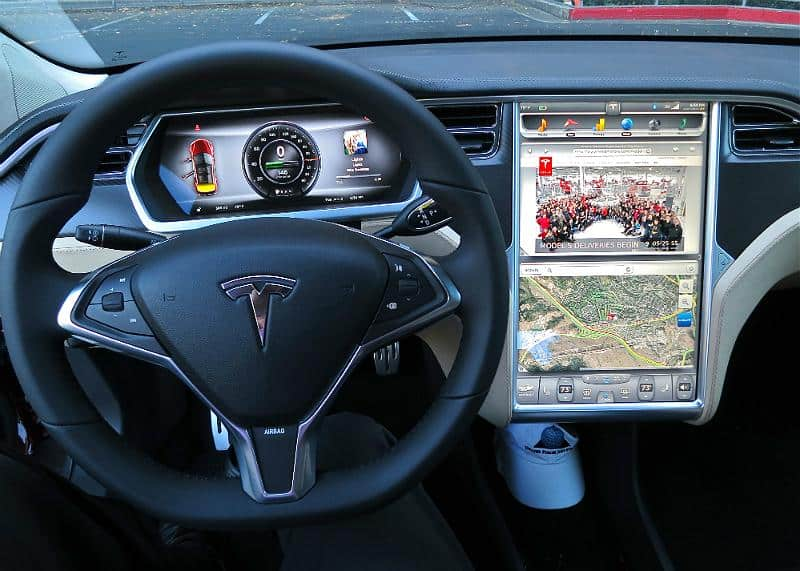 The dash below shows off web browsing on the Tesla and Google sites on a terrific 17" touchscreen. From what I've read, professional recording engineers were tapped to create Tesla's unique sound system. But what I loved most is the full definition back up camera. No more blind spot troubles, turning your neck, or wondering if you are about to nick the garage door. Plus, if you are leery of weirdos hiding somewhere, you'll see them. The MSRP for the 2014 Tesla Model S is $69,900 - $93,400 USD. Enjoy the 5:18 video uploaded by Richard Ojeh next which showcases these features and more. "Technology leadership is not defined by patents, which history has repeatedly shown to be small protection indeed against a determined competitor, but rather by the ability of a company to attract and motivate the world’s most talented engineers. We believe that applying the open source philosophy to our patents will strengthen rather than diminish Tesla’s position in this regard."